Handydock from Marcus Svensson on Vimeo. 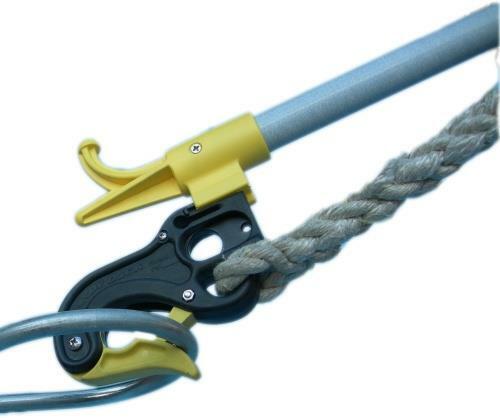 With the Trigger Hook attached to a pole, the HandyDock attached to the Trigger Hook and a line between the HandyDock and a cleat on the boat, approach the mooring, reach out with the pole/Trigger Hook/HandyDock combination and snap the HandyDock onto the ring at the top of the mooring. 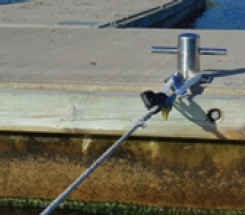 Then tug to disconnect the pole/Trigger Hook combination and the boat remains attached to the mooring via the line/HandDock combination. 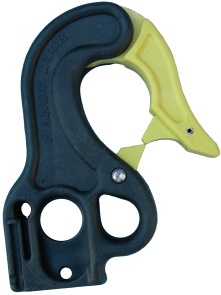 the standard 22mm HandyDock jaw. and features, but a 33mm jaw. 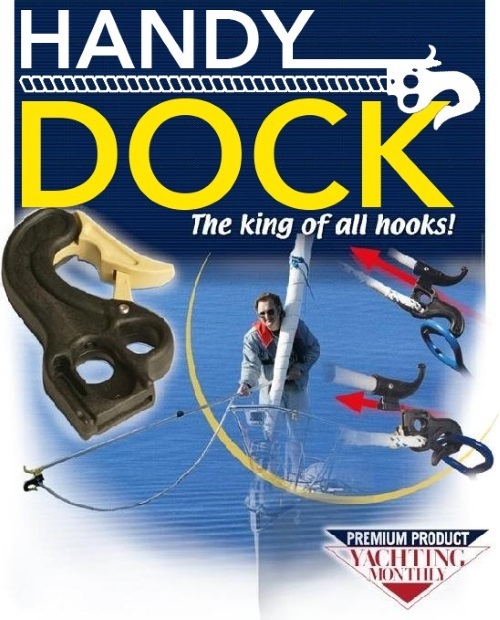 mooring hook design we've seen. 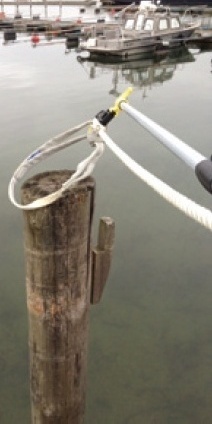 Thread the adaptor onto your threaded tip boat hook, broom stick or painters pole. (Only the threads on 1 end will fit.) 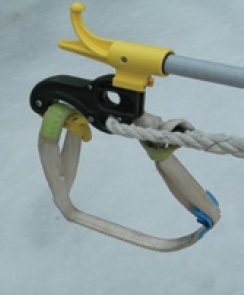 Slide the Trigger Hook over the adaptor and turn to the desired position. Mark the upper hole position on the adaptor, remove the Trigger Hook, unscrew the adaptor and drill the hole for the upper screw. 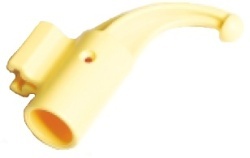 With the adaptor in the Trigger Hook and the screw in the upper hole, mark and drill the lower hole. 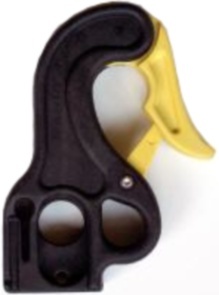 Attach the Trigger Hook to the adaptor, upper screw first, using a long narrow tool to hold the nut. Attach the lower screw and nut to complete the threaded adaptor modification. 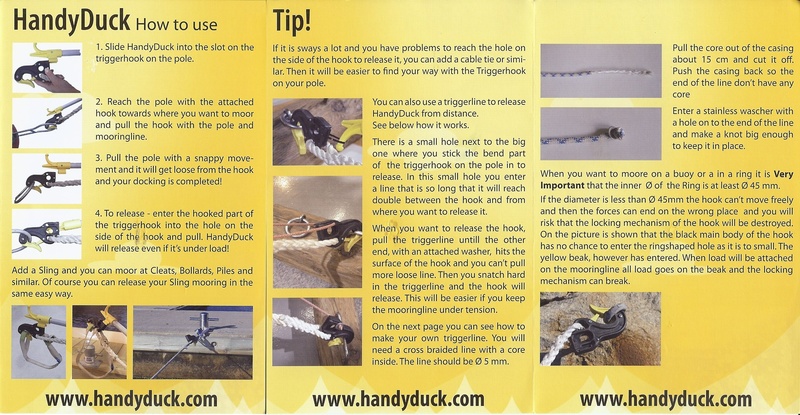 When disconnecting from the mooring, reach out with the same pole/Trigger Hook combination and using the opposite (curved) side, pull the HandyDock release to disconnect from the mooring. 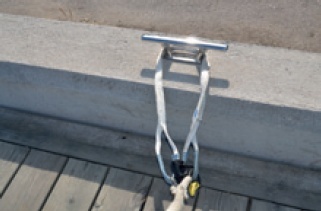 Even if you use another method to permanently tie to the mooring or dock, use the Handy Dock for the quick grab and after the pressure is off switch to your permanent tie. Use the links below to view or download instructions.